With 37,000 meals to feed to 46 hungry children each year, the kitchen at Princeton Nursery School is a busy place. But making sure those 3- and 4-year-olds get breakfast, a hot lunch, and a snack each day has become a challenge as the kitchen, in a building that is over 90 years old, has deteriorated. Thanks to a recent fundraising drive, the school is installing a brand new, $50,000 kitchen with a commercial grade oven, refrigerators, freezers, dishwashers, and stainless steel shelving. The two-week project got underway last week, and should be finished by the end of this week. Meanwhile, who is feeding the kids? Local restaurants, that’s who. On the first day, PJ’s Pancake House provided pancakes, scrambled eggs, bacon, and fresh fruit. LiLLiPies, on schedule for this week, is making turkey sandwiches, ham sandwiches, and of course, peanut butter and jelly, packed with an apple from Terhune Orchards and a freshly baked cookie. Others that have stepped up are McCaffrey’s Catering, Pizza Star, Surf Taco, Nomad Pizza, and Chopt. 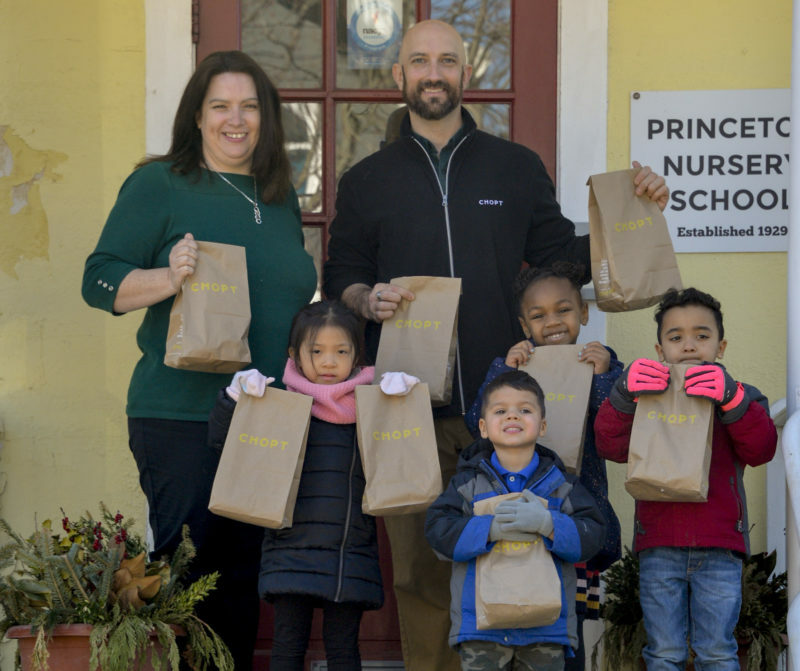 Princeton Nursery School has been a fixture on Leigh Avenue, in the Witherspoon-Jackson neighborhood, since a wealthy Princeton resident founded it for working mothers who desperately needed a place for their preschool-aged children to go during the day. More than nine decades later, the need is still there. Many of the students are neighborhood residents whose parents walk them to school before putting in a full day of work. The project has been funded by The Burke Foundation and the family of Christopher and Leslie Kuenne. Princeton University also provided a donation.